WASHINGTON — The end of the 2016 presidential election is at hand, though House Democrats don’t plan to let it pass quietly. A joint session of Congress is set to count the Electoral College votes on Friday, a traditional ending to a most unconventional presidential election. Several House Democrats plan to raise objections during the count. They could slow the process, but they don’t have the votes to prevent Donald Trump from winning. 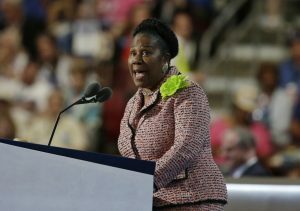 Rep. Sheila Jackson Lee, D-Texas, is leading the effort to object to Trump’s election. She and other House Democrats want to draw more attention to American intelligence findings that Russia worked to sway the election in Trump’s favor. Lee also complained that Republicans in some states suppressed voter turnout, either by purging voter rolls before the election or by enacting strict voter ID laws. Under federal law, if at least one senator and one House member object to the vote from any state, the House and Senate would meet separately to debate the merits of the objection. Lee said several House Democrats are expected to raise objections, but no senator has publicly backed the idea. Regardless, with Republicans controlling both chambers, any objection would have little chance of affecting the outcome. All 538 electors met in their respective state capitals in December to cast their votes. Trump finished with 304 votes and Democrat Hillary Clinton with 227, according to a tally by The Associated Press. It takes 270 Electoral College votes to win the presidency.